The Arnhem Land Region is one of the five regions of the Northern Territory of Australia. 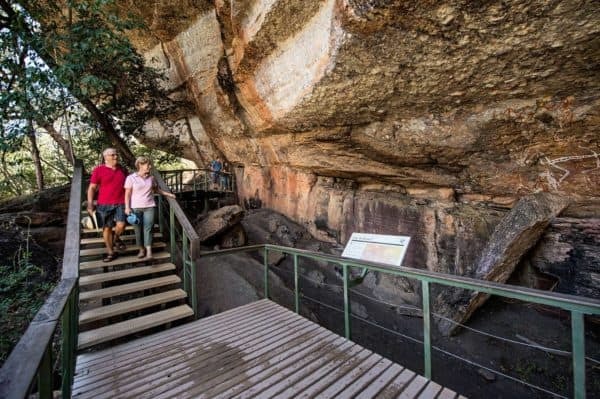 It is located in the north-eastern corner of the territory and is around 500 km from the NT capital, Darwin. 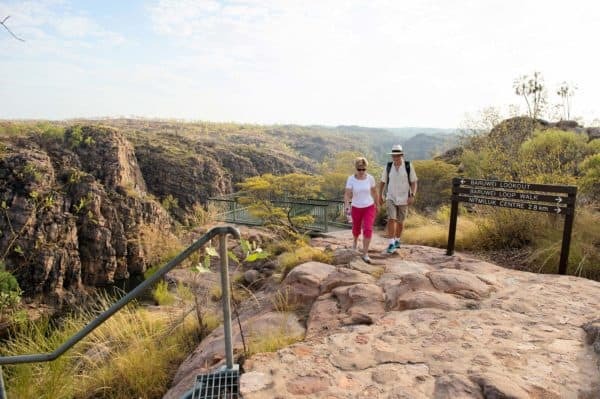 Declared an Aboriginal Reserve in 1931, it remains one of the largest reserves in Australia and is best known for its isolation, rock art, and the strong traditions of its Indigenous inhabitants. 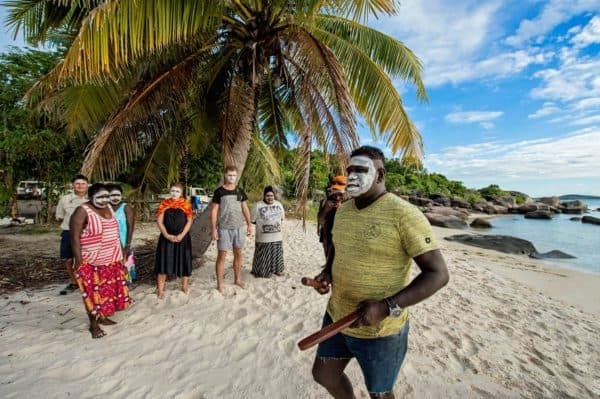 Northeast Arnhem Land is home to the indigenous Yolngu people, one of the largest Indigenous groups in Australia, and one who have succeeded in maintaining a vigorous, traditional indigenous culture. 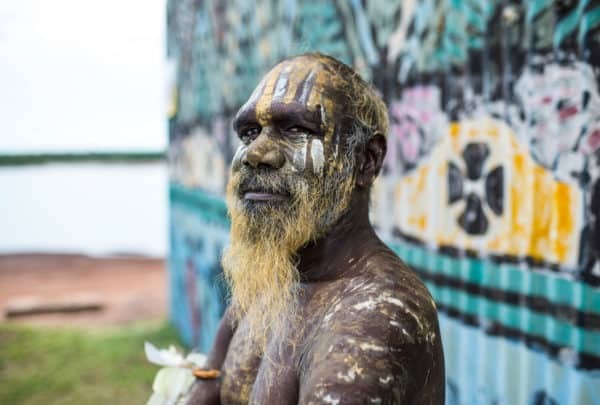 The Malays and Macassans are believed to have had contact with the coastal Aboriginal groups and traded with them before European settlement of Australia. The climate of Arnhem Land is tropical monsoon with a wet and dry season. Temperatures change little throughout the year, though it can range from overnight lows of 15°C in the dry season (April to September) to daily highs of 33°C in the wet season (October to March). Situated in the north-west corner of Arnhem Land, and adjacent to Kakadu National Park and the Cobourg Peninsula in Australia’s Northern Territory, lies a vast sub-tropical savannah and pristine wilderness, host to a myriad of ecosystems and wildlife. It has been described as a national treasure trove due to its history of ancient human occupation. At Mt. Borradaile, all accommodation is twin-share tented accommodation, with comfortable beds, dining facilities, and shared toilet/shower facilities. 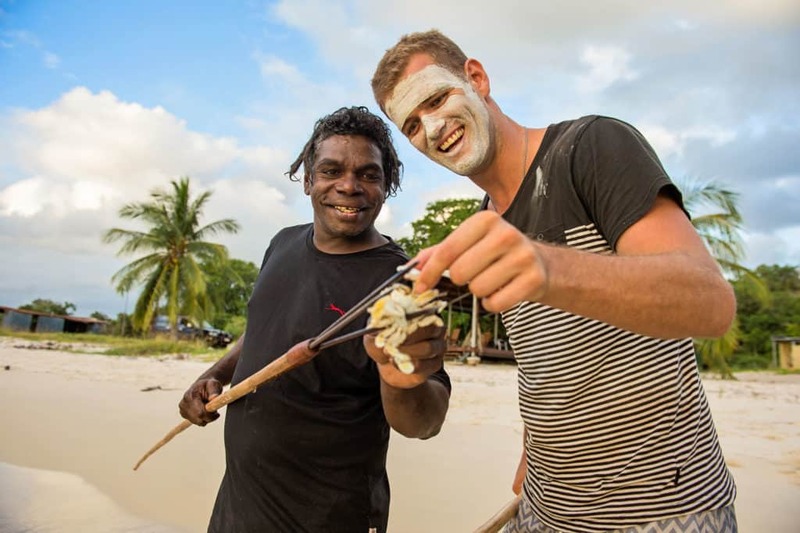 All meals are supplied by Davidson’s Arnhem Land Safaris, the local tour operator. Some of Australia’s best and most prolific Aboriginal Rock Art can be seen here, as well as magnificent birds, crocodiles, and barramundi. Groote Eylandt is the largest island in the Gulf of Carpentaria, 630 km from Darwin by air. It offers world-class fishing in diverse and contrasting habitats in virtually uncharted waters. Try your luck in coastal tidal creeks, mangrove-lined estuaries, and along kilometres of coastline. Not only is the fishing great, but the scenery of the coastline and islands is spectacular. Accommodation is right on the beach in ET’s Escape Fishing Lodge with comfortable tented cabins. Right next door, is the Dugong Beach resort featuring upmarket accommodation and an Aboriginal artifact shop. No visit to the Australian Outback is complete without a boat cruise, canoe trip, or hike up the spectacular 12 km Katherine Gorge. The gorge is located in Nitmiluk National Park, one of the most spectacular areas in the country, with winding red sandstone cliffs up to 70 m high. 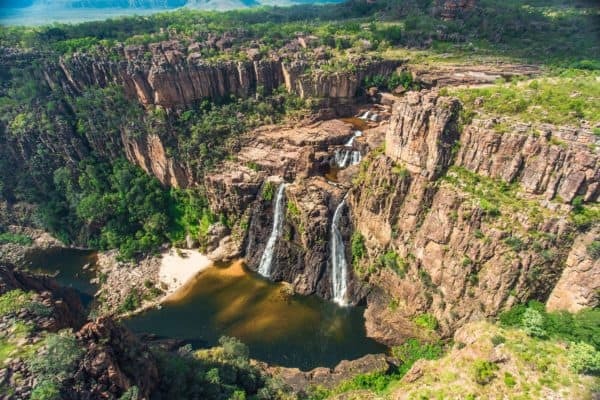 The 13 beautiful gorges of this national park were formed 23 million years ago as torrents of water poured into tiny cracks in the earth, splitting it apart until it became what lucky visitors see today. 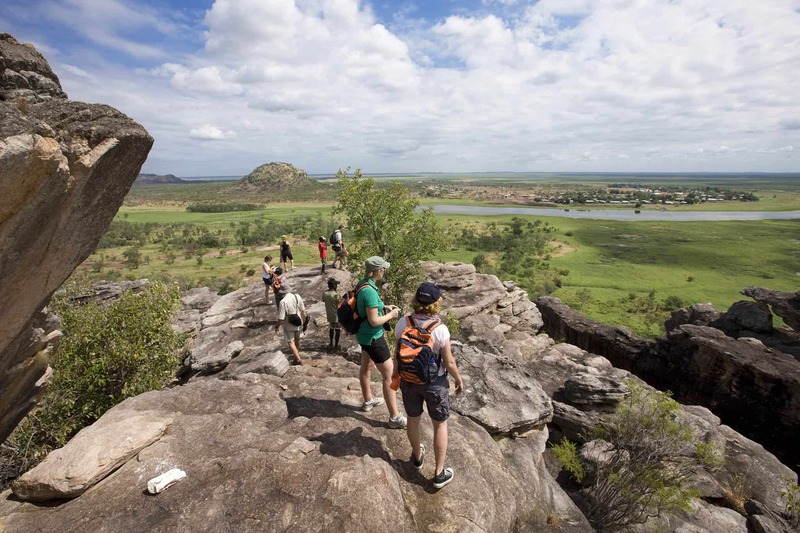 Kakadu National Park is located within the Alligator Rivers Region of the Northern Territory, Australia. It covers an area of 1,980,400 ha extending nearly 200 km from north to south and over 100 km from east to west. Kakadu’s flora is among the richest in northern Australia, with more than 1700 recorded plant species. This is a result of the Park’s geological location, land formations, and diverse habitat. 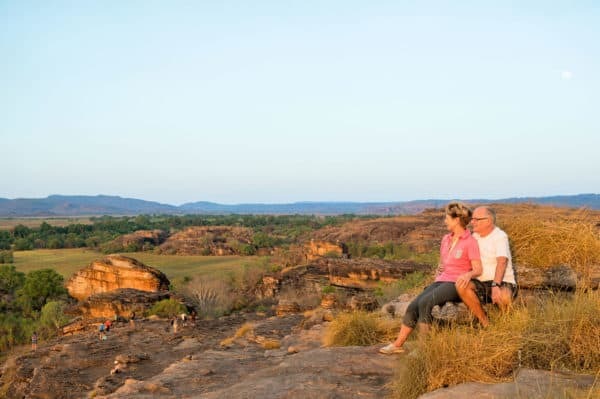 Aboriginal people have occupied the Kakadu area for at least 40,000 years, and it’s renowned for the richness of its Aboriginal cultural sites. There are more than 5000 recorded art sites illustrating Aboriginal culture over thousands of years. Melville Island known in the Tiwi language as Yermalner lies in the eastern Timor Sea, off the coast of the Northern Territory, Australia. It is west of the Cobourg Peninsula in Arnhem Land and north of Darwin. The largest community/town on the island is Milikapiti, pop. 559. The second village is Pirlangimpi (Pularumpi, formerly Garden Point), pop. 440, 27 km west of Milipakpiti, on the west coast of Melville Island. About 30 more people live in five family outstations. 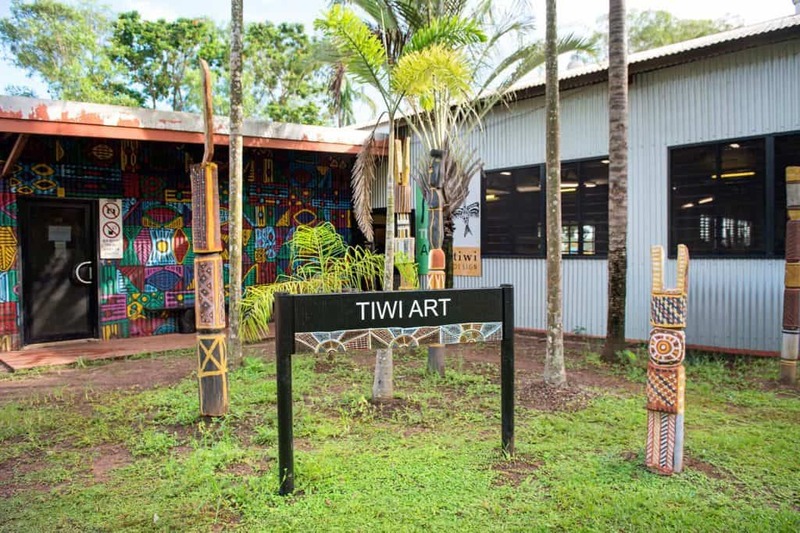 Together, Melville Island and Bathurst Island are known as the Tiwi Islands. 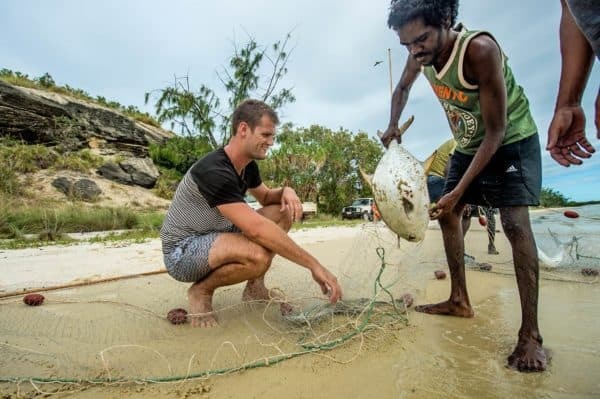 Melville Island is renowned for its great fishing. The largest settlement on Bathurst is Wurrumiyanga (known as Nguiu until 2010), in the south-east, with a population of around 1,450. 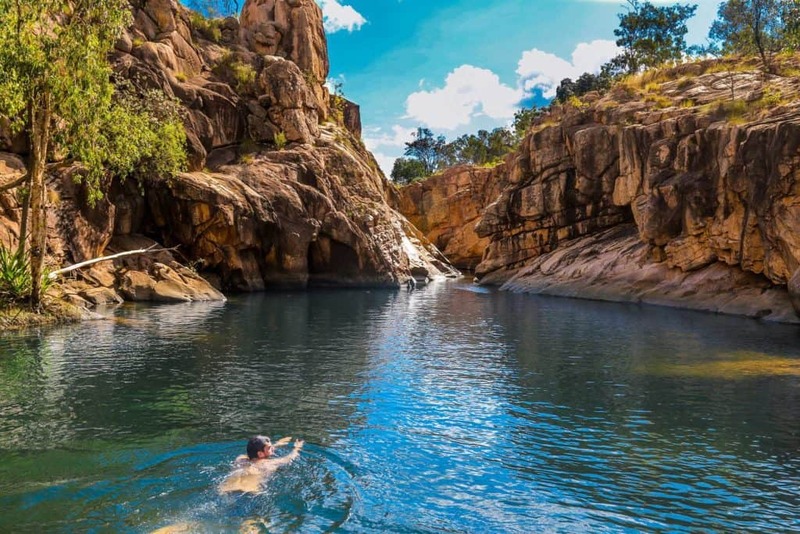 Located on the south-east corner of Bathurst Island, Wurrumiyanga is approximately 70 km north of Darwin. When you arrive at Bathurst Island, you are met by a Tiwi guide and taken on a journey through the progressive community of Nguiu, visiting the museum and Early Mission Precinct with its unique Tiwi style Catholic Church. 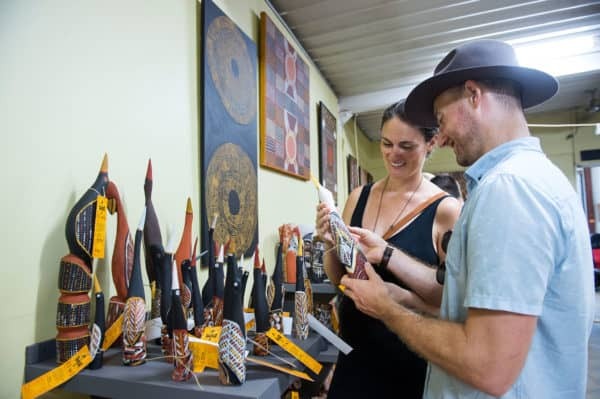 You are then taken through the successful arts and crafts centres, where you can see the artists at work, and have the opportunity to purchase Tiwi arts and crafts and screen-printed fabric at island prices. The town supports a population of 2,600 people, which includes those who live in the 30 homeland centres or outstations around Maningrida. 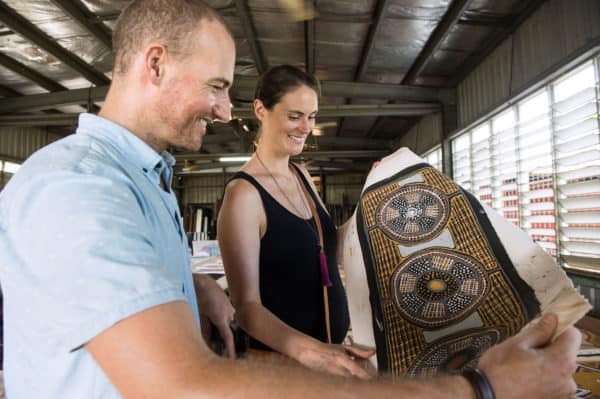 Major players in the town’s economic and political life include the Maningrida Progress Association, the Bawinanga Aboriginal Corporation, and the Maningrida Arts and Culture artists’ co-op. The area is renowned for its arts. Great fishing can be found in the area as well. There is simply no other way to experience so many remote sights and experiences in a short period of time. 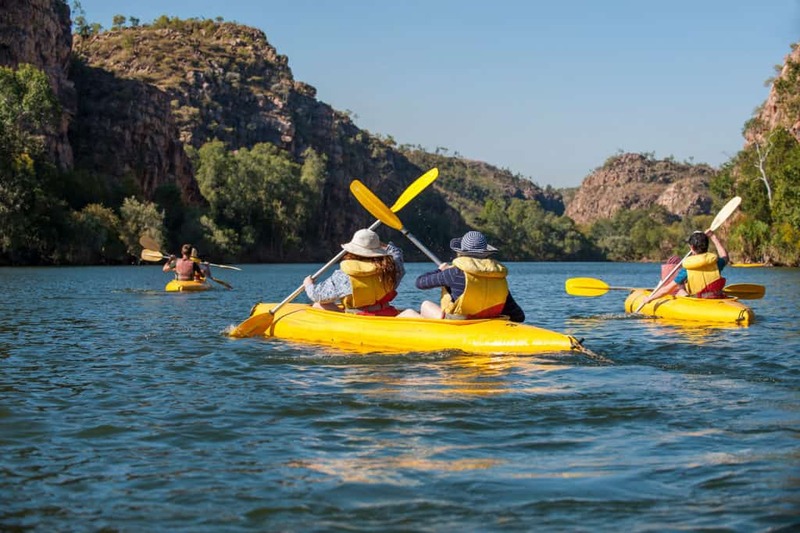 We were greeted by guides and treated to a diverse range of experiences – bush walks, swimming in pristine water holes, river and wetland cruises, helicopter ride, dining in the desert, etc.